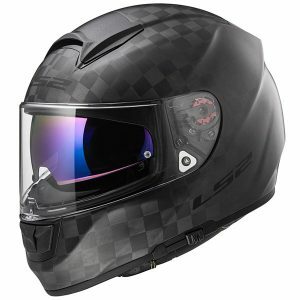 9 Best place to buy an LS2 crash helmet? 14 Good Alternatives to the LS2 Vector? 16 Definitely want an LS2? 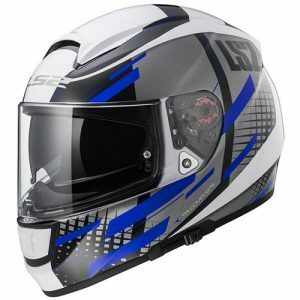 The LS2 FF397 Vector (to give it its full title) is a fibreglass-shelled full face helmet that’s designed for your typical sports touring rider. Essentially, that’s someone who likes to do a varied bit of riding and who needs a decent amount of flexibility from their lid. 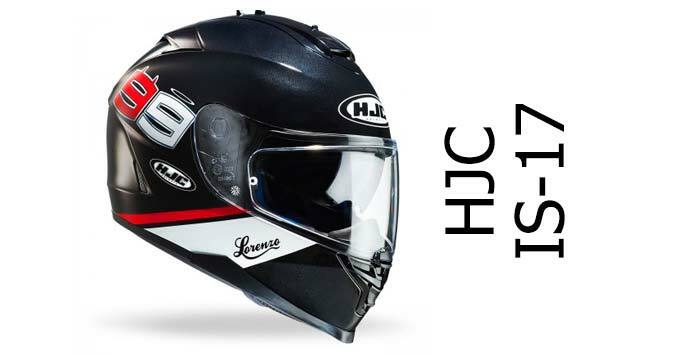 LS2 has tried to produce a helmet that’s light weight, safe, comfortable and with some of the nice touches that modern-day riders want in their helmet such as an integral sun visor and well thought out visor system. They’ve also tried to design a helmet that’s aerodynamically sleek and stable. So, here’s the lowdown on what riders and owners of the LS2 Vector think of their helmet – and we find out if LS2 have managed to make the helmet they set out to make. The shell of the LS2 Vector is made from a fibreglass composite. They claim it’s around 1.3Kgs in weight too which is a decent chunk lighter than the average fibreglass helmet of around 1.49Kg. That can get alarm bells ringing slightly as a lighter helmet can mean there’s physically less of the helmet to give protection. 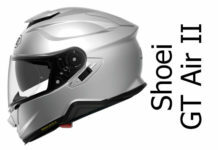 SHARP tested the European version of the Vector and awarded it 3 stars for safety, which is an OK score but not the best (you can see all our SHARP 4 and 5 star helmets here). 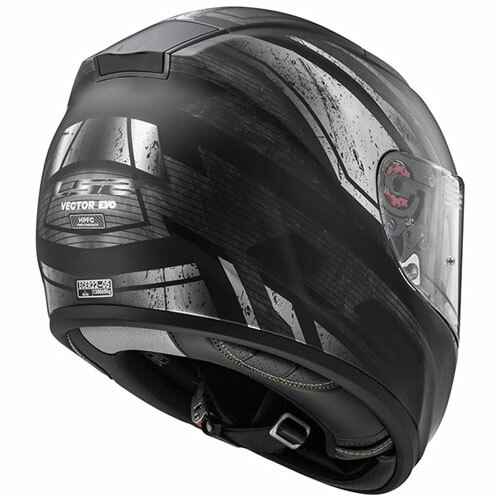 LS2 does produce the vector in three helmet shell sizes though – which is good for both safety levels and looks (as discussed here). They also include a reasonably wide visor that’s class A optically correct meaning distortion should be reduced to an absolute minimum (but see below in the visor section for more info on this). And fogging is controlled by the inclusion of a Pinlock Max Vision anti fog insert in most European territories (though in the US it seems to come with LS2’s own Fog Fighter equivalent). Of course, drop down sun visors aren’t optically correct or, usually, anti-fog coated. But still, having a sun visor can be damn useful and can be a real help with safety, especially if you get caught out riding into a low sun. LS2 also include safety reflective stickers, a steel micrometric fastener and EQRS – all of which are useful safety features to have. Overall then, the Vector offers a number of features to enhance safety coupled with a reasonable SHARP safety test score. There’s quite a broad range of opinions out there on how noisy the LS2 Vector is. But overall, most owners think it’s a pretty quiet helmet. Sure, you get some saying it’s loud but you always get a range of opinions on noise supression – and for good reason. That’s because we all have different levels of hearing, riding styles, types of motorbikes, and we ride at different speeds on motorcycles that offer different levels of wind protection – from nakeds to full tourers. So I guess it’s not surprising there’d be a variety of opinions. Having said that, the overwhelming view was that it’s quite a quiet helmet. 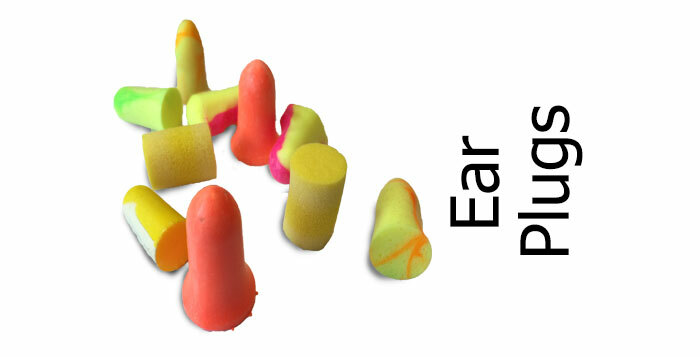 So, if you buy one, hopefully you’ll be pleasantly surprised (though don’t expect it to replace a decent set of ear plugs – they’re still vital to protect your long-term hearing). As always, if having a quiet helmet is important to you, you can view all our quietest-rated helmets by choosing ‘Quietest’ from the feature cloud to the right (bottom of the article for mobile users). There’s a single chin vent with 2 position slider and a single crown vent. According to owners both are easy to use with gloves. Air from the crown vent is channelled through the helmet’s shell and into channels in the liner to provide ventilation onto the scalp. There’s a single (closeable) rear exhaust port for the stale air to exit the helmet. All that’s a fairly standard arrangement these days. But most owners say the ventilation is somewhere between good and excellent with some owners who regularly ride in hot summer weather saying it’s even good enough to keep their heads cool. So the decent ventilation in combination with the anti-fog insert should keep you cool and your visor fog-free. 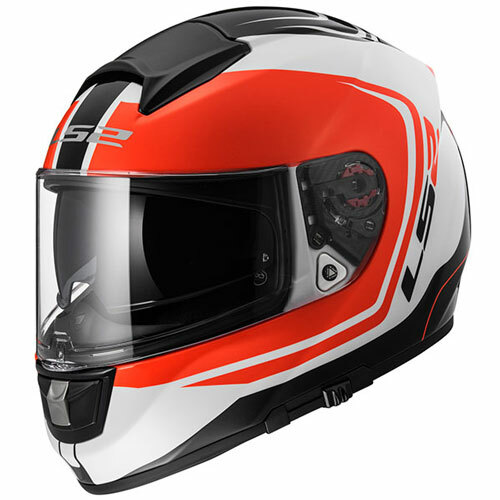 Like all LS2 motorcycle helmets, the FF397 Vector comes with a Class A optically-correct visor. That means the main clear visor should be distortion free – though a few owners have said that they found theirs to be a bit distorted towards the bottom, mainly because of the shape of the moulding. It comes with a decent visor quick removal system (just push a lever forward and out comes the visor) and it’s anti-fog insert ready. In Europe that means it comes with a Pinlock Max Vision 70 insert (Pinlock’s largest insert with mid-level of anti-fog) though with some US retailers it uses LS2’s own version of an anti-fog insert called Fog Fighter. The Pinlock Max Vision is a nice large insert that should cover pretty well all of your vision and the ‘70’ version is great for all but the most extreme circumstances. Fog Fighters don’t seem to be well liked though so check with your retailer before ordering that there’s a genuine Pinlock included. Read more about Pinlocks here. The integrated sun visor is operated using a slider at the bottom left edge of the helmet. A few folks complained that the sun visor doesn’t drop down far enough for their liking, leaving light to get in underneath the sun visor around their nose. One or two also reckoned that it needs pulling down manually for the last centimetre or so. But apart from a smattering of the usual complaints that the tinting is a little too light (that’s a legal thing so not something manufacturers can ignore) most said it’s great to have and really like the sun visor. 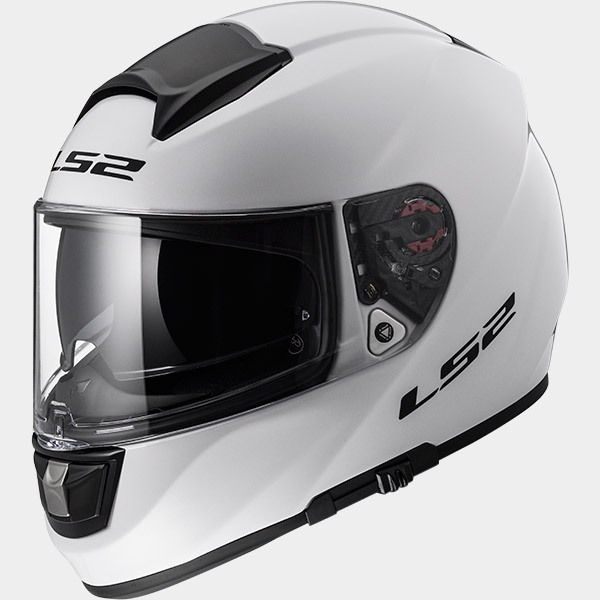 The LS2 FF397 Vector is designed to have a longer helmet fitment, suiting people with longer narrower heads rather than rounder heads (sometimes called long-oval though most folks seem to say it’s more medium oval). Lots of folks with those shaped heads said they found it’s a massive relief to find the Vector because it fits where many helmets don’t. But as we’ve seen before on LS2 helmets, some also reckoned it sizes a bit small, so if you’re looking to order one and you’re between sizes, we suggest you go for the larger size. The lining on the Vector is removable and washable and is both hypoallergenic and breathable. It’s secured in place with the usual poppers and slots but it also features LS2’s magna-tech system which uses small magnets to keep the neck roll in place. Other than that, most owners say it’s a particularly comfortable helmet. Obviously, to gain that level of comfort, you need to ensure you’ve a longer narrower head and get your head measurements right in the first place – but if you do, you should find the Vector all-day-long comfortable. There’s a stack of different Vector designs for the fibreglass composite version of the helmet, plus a couple of carbon fibre helmets too. If you’re interested in the fibreglass lid, there’s solid gloss black and white plus a matt black version. But there’s also the Vantage, Wake, Wavy, Titan, Razor, Trident – plus there’s the glow in the dark Orion version which you can see in the second video below. As always, you can find all the latest graphics and deals by clicking through to our recommended retailers using the links below. First off, here’s a look around the Vector by an LS2 rep from LS2 USA. That’s followed by a 1m video showing you the glow-in-the-dark Vector Orion. The LS2 Vector has a micrometric fastener – they’re very easy to use but you need to keep an eye on strap adjustment to make sure everything’s tight. Having said that, LS2 have gone to extra lengths to ensure the strap is really safe by mounting it with a metal fitment right into the shell of the helmet (the triangular insert below the visor pivot). It’s designed to integrate LS2’s Linkin Ride Pal bluetooth set. If you’ve a different bluetooth set, there’s mixed messages about how well the Vector will work with it though. A couple of owners said it’s tricky to mount because of the left-side sun visor slider that sits right where you’d want to mount your bluetooth. One owner with a Sena SMH10 found it tricky to mount, though a Sena 3 owner found it easy. Lots of owners commented how light their Vector’s feel – that goes for both the fibreglass or carbon version (which is 100g lighter than the tri-composite fibreglass helmet). So no sore necks after a day’s riding with the Vector. Build quality for the Vector is praised by lots of owners – especially at this price where many were surprised at the quality and value for money. 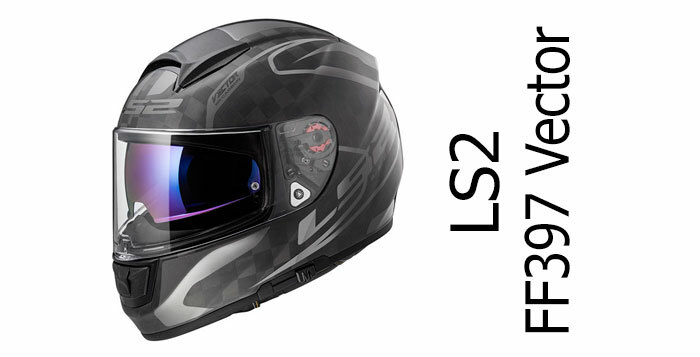 So it’s kinda surprising that LS2 only sell the Vector with a 1 year warranty which is pretty much the minimum of any helmet maker – and many offer 5 year warranties with their helmets. Finally, if you go for an LS2 vector, you’ll get a chin curtain, neck roll and breath guard included in the package, along with the antifog insert. All in all that represents a great package for your money. Value for money is the watchword when it comes to the LS2 Vector. That and a relief in finding a longer, narrower helmet that fits well. Which kinda sums up where the vector sits. If you’re after a light weight full face helmet that’s comfortable and performs well in pretty well every respect, and you love getting lots of bang for your buck (and have the right shaped head) then the LS2 FF397 Vector is well worth trying out. LS2 made a ‘thing’ over designing a helmet that’s both aerodynamic and stable. And while very few owners mentioned either, maybe that’s a good thing because if it was prone to buffeting, then folks certainly would mention it. Plus quite a few owners seem to think it’s a pretty quiet helmet and that’s often a side-benefit of making a smooth and slippery helmet. So that’s probably ‘job done’ on the aero I’d say. Ventilation is great too, and so is comfort, and then there’s that optically-correct visor backed with a top quality Pinlock anti-fog insert and decent sun visor. It also scored reasonably well when tested by SHARP (though far from the best). All in all, the LS2 FF397 Vector is an excellent package and offers great value for money. If you’re in the market for a reasonably priced full face, then definitely check one out – or take a look at our recommended alternatives below. Good Alternatives to the LS2 Vector? 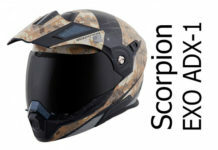 If you’re looking for a mid-priced full face helmet similar to the Vector, there’s a decent number of helmets to choose from. Here’s a few recommendations to have a look over before you take the plunge. First up is the HJC FG-ST. That’s been tested and rated by SHARP as 5 stars (that’s maximum marks for safety). It also comes with an integral sun visor and Pinlock in the box, just like the Vector. There’s also the AGV K5 and it’s later K5S variant. 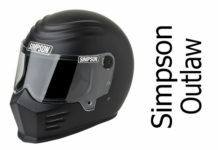 The carbon/fibreglass shelled K5 was SHARP 4 star safety rated and has a sun visor and Pinlock too. Or you might want to check out the X-Lite X-702 GT. It’s more touring-oriented and it’s a composite-shelled helmet that scored maximum marks for safety when SHARP tested – and owners reckon it’s quiet, comfortable and well vented. Here you'll find all our LS2 crash helmet reviews and previews. The LS2 FF397 Vector is a great value full face helmet. 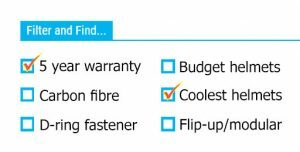 Owners think it's supremely comfortable, has excellent ventilation, it's light weight and with its Pinlock anti fog (in the box) to fit behind its class A optical visor it offers a stack of features for not very much dosh. 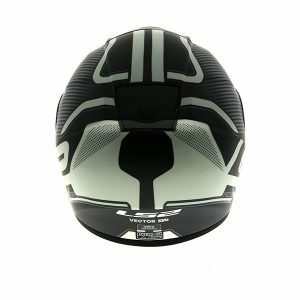 If you're after an all rounder full face helmet on a budget, then the LS2 Vector could be a great bet.